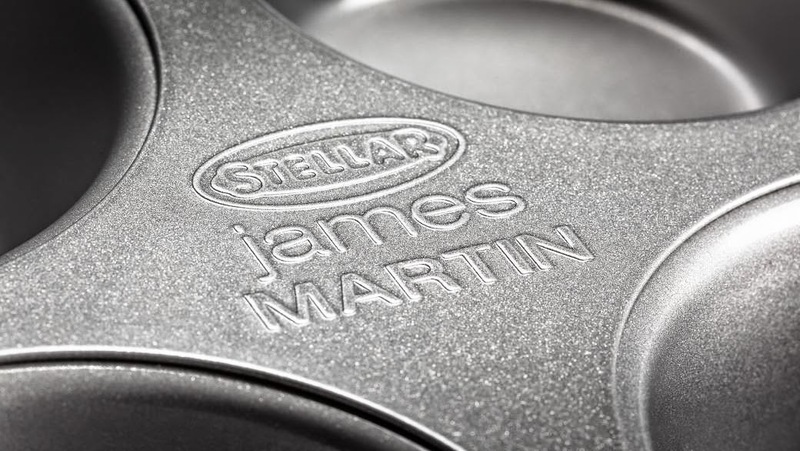 Stellar Cookware have recently launched a truly lovely range of bakeware by James Martin 'The Bakers Dozen' consists of 13 essential bakeware essentials. Having been sent the Large Roasting Tin to try (which was perfect for a Sunday roast) I must say I'm seriously impressed. I've tested many roasting tins over the years but so far this has to be the best. 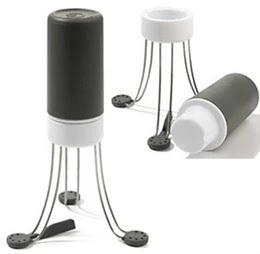 Made from heavy grade carbon steel which gives it even heat distribution. All surfaces of this sturdy roasting tin are double layer non-stick too. It's dishwasher safe, although having cooked a roast chicken and then roast potatoes in mine I found all it needed was to be washed by hand in nice hot sudsy water - it was effortless. Oven use up to 240C 475F or Gas 9 but can also be used on the stove top on a low heat making it great for making the gravy. The RRP of Large Roasting Tin is £26.00 - okay at the time of writing I've only used it a couple of times, but I really believe this product will stay perfect for ages. All products in the range come with the Stellar lifetime guarantee and 5 year non-stick guarantee. 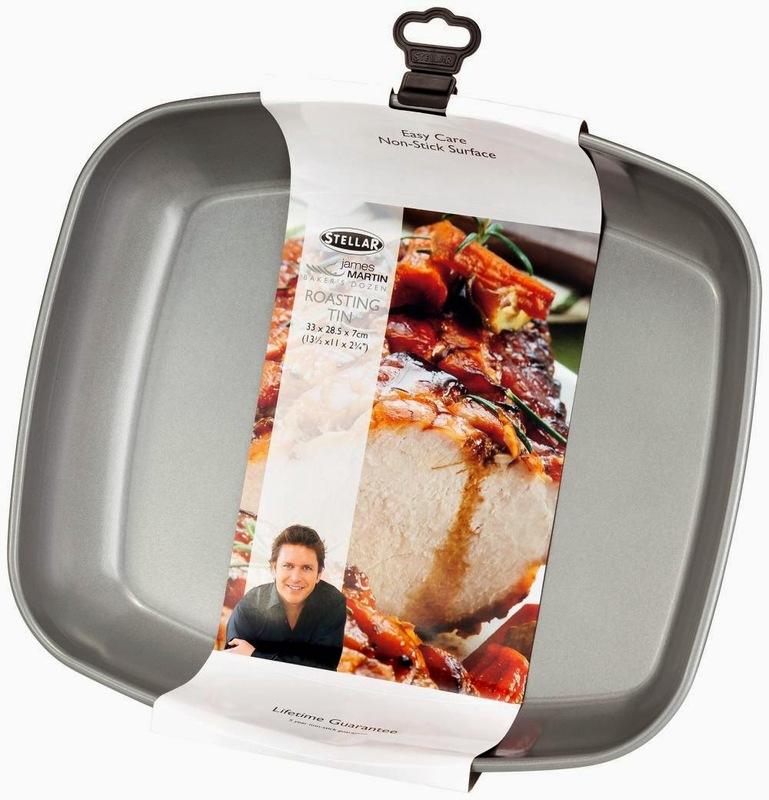 You'll find a James Martin recipe printed on each pack of Bakers Dozen products too! For more information on this and other products including a list of stockists pop over to Stellar Cookware. Disclaimer: Many thanks to Stellar Cookware and Pam for sending me this to review. Although I'm already a big fan of Stellar products, all thoughts are my own and I wasn't required to write a positive review.